On July 31 - August 4, nearly 1,000 cheese geeks will gather in Madison, Wisconsin for the 30th annual American Cheese Society annual conference and cheese competition. While the event is open to the public, you must be an ACS member and pay fees to attend. That's why it's mostly a trade-oriented event. 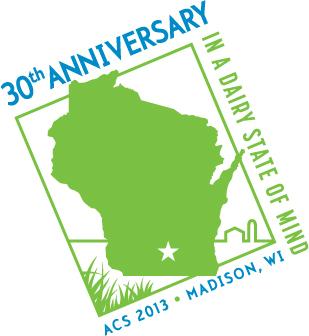 That said -- ACS is seeking volunteers to support the 2013 Conference & Competition in Madison, Wisconsin from July 25 – August 4, 2013. Shifts vary in length and include activities like setting up tables, slicing or plating cheese, unpacking cheese, and more. All volunteers receive an official volunteer t-shirt and a complimentary ticket to the Festival of Cheese on Saturday, August 3. And trust us, the Festival of Cheese is NOT to be missed. It's when ALL of the cheeses entered into the ACS competition are sliced and sampled. Can you say CHEESE COMA?